Two juniors get call-ups | Daily Express Online, Sabah, Malaysia. 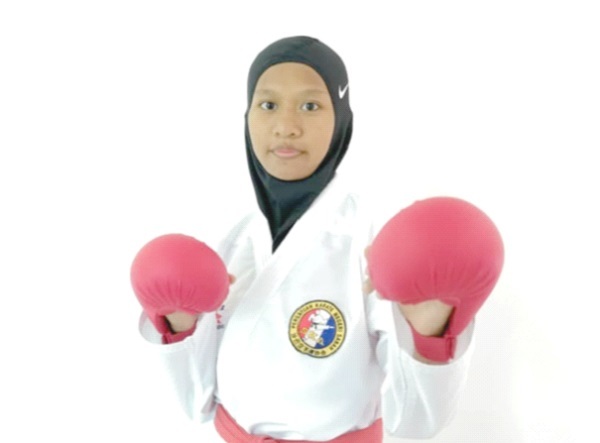 KOTA KINABALU: Two junior karatekas from the State have been called up by National Sports Council (NSC) for the National Pelapis (Back-up) training programme based in Bukit Jalil. Nineteen-year-old Arthuric Gideon Jiwin from Penampang and Amirah Syahirah Azlan, 18, from Keningau are the two athletes named by NSC following their recent selection trial held here last month. Both are in the kumite discipline, and they will team up with fellow Sabahan Ricah Mattan who is currently based there for a year of full time training under national coach Ali Reza. Sabah Karate Association president Datuk Jake Nointin when contacted on Sunday was pleased with the latest recognition of SKA athletes by NSC. “I am very happy with the call-up and hope they will take this opportunity to further improve themselves so that they can achieve international success in future. “The recognition is a clear indication that our development programme is bearing fruit and it is due to the commitment of SKA with the support from Youth and Sports Ministry and NSC Sabah,” he said. He also disclosed that Pressy Misty Philip who won a silver for the country at the 17th AKF Cadet, Junior and U-21 Championships held in Okinawa, Japan last year will not be based in Bukit Jalil due to study commitment but SKA will try their best to work out an arrangement so that she can join the programme during her semester break.